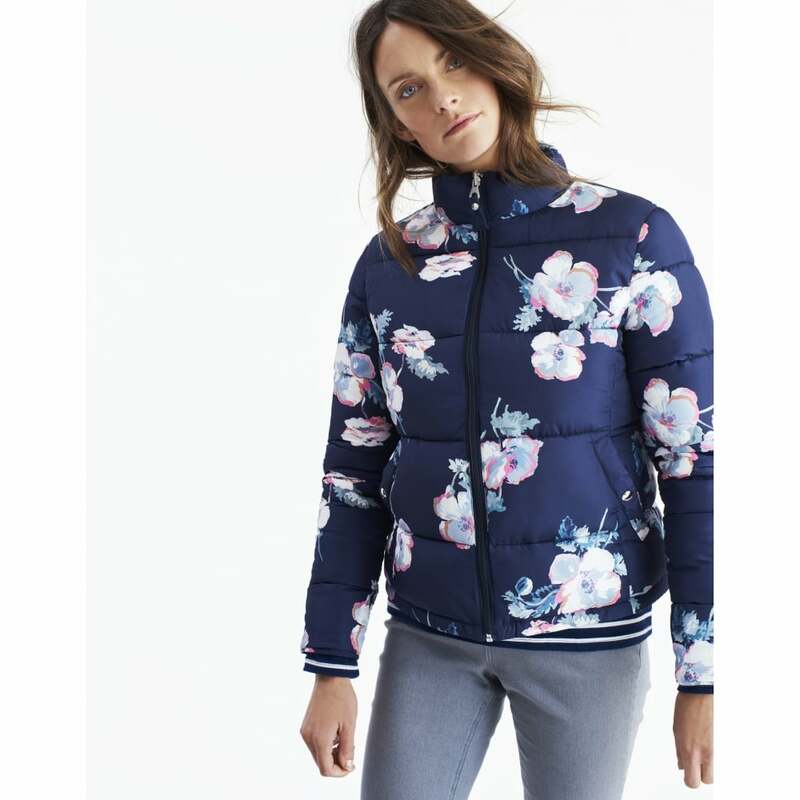 Perfect for cool spring days this reversible puffa jacket features an eye-catching floral print on one side and plain navy on the other. With a short stack collar and full length zip this is sure to keep you feeling warm and cosy. One jacket, two looks to see you through the seasons.